This article was created in partnership with Elevation Marketing. Thank you for supporting the partners who make SitePoint possible. A couple of years ago, Google introduced a technology that rocked mobile SEO called AMP. If youâ€™re unfamiliar with the term, AMP stands for Accelerated Mobile Project. With AMP technology, Google wants to drive faster mobile page loading, especially for those users still stuck on 3G speeds. Google uses AMP to ensure that theyâ€™re still able to view the content theyâ€™re searching for as fast as possible. Naturally, when Google releases updates like this, the end goal is to ensure that the maximum number of websites possible are using the technology. Otherwise it would be a waste to spend millions in research and development to develop the overall functionality. As you can see in the screenshot, these card-like results are all AMP-enabled sites. Your site will not show up in this section of the results unless it is AMP optimized. 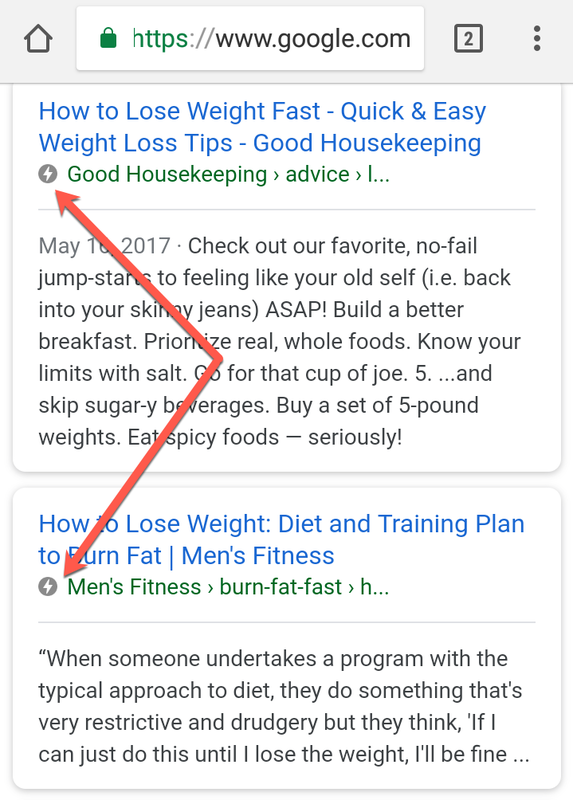 If youâ€™re trying to rank for any keywords where these card snippets are used in the SERPs, youâ€™re missing out if you donâ€™t use AMP. The cards are given premium real estate in the mobile internet world. Even for those searches that donâ€™t use AMP-optimized card snippets, whether or not youâ€™re using accelerated mobile pages is still a factor. In fact, the lightning AMP symbol pointed out in the screenshot above will still appear next to the links. Does AMP Affect Search Engine Optimization? Of course, given Googleâ€™s constant evolution of their search algorithm and Garyâ€™s use of the word “currently,” itâ€™s hard to bank on the idea that Google hasnâ€™t yet incorporated it into the search algorithm. When you consider that a significant percentage of the websites that make it to the first page of results are AMP enabled, you have to wonder about the strong correlation. However, even if AMP isnâ€™t a ranking signal, itâ€™s still a signal to users who search on mobile. 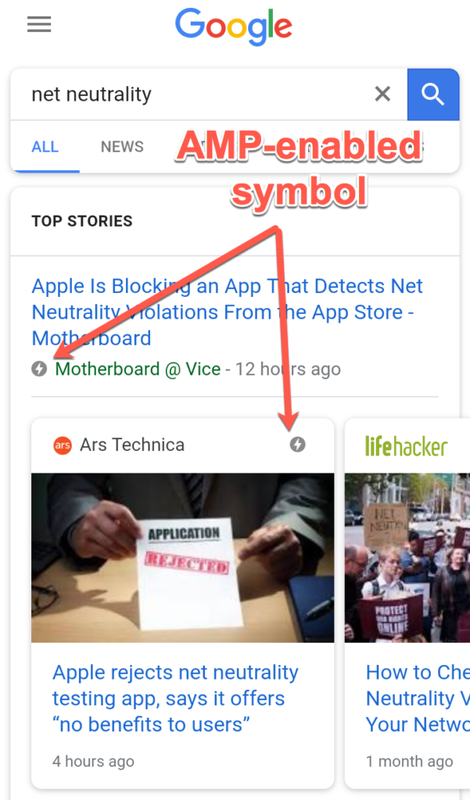 When they see that little lightning icon next to your link, they recognize that the page will load near-instantaneously, and may decide to head to your website rather than clicking on a higher-ranking link that doesnâ€™t use AMP. So regardless of whether or not AMP affects SEO, it will still net you a positive effect in the SERPs. With WordPress websites, setting up support for Google AMP is a smooth and easy process. Thereâ€™s virtually zero backend work or coding that you have to do on your own. The process is in fact so easy that the balance vs. results is too far in your favor for you to ignore. Automattic, the team behind WordPress, has developed a plugin for this process named simply AMP. However, this plugin has received poor ratings for errant functionality and frequent issues, despite having come from the big boss of WordPress. Instead, most marketing professionals, myself included, would recommend AMP for WP. It was created by an independent developer, but is far more popular with its users and has received much better ratings. Simply install this plugin from your WP Admin dashboard. Once activated, simply run through the installation wizard from the link provided in the WP Admin > AMP tab in your side menu. Within the wizard, you can pick a design format, add Google analytics tracking data, and decide for which of your post types (posts, pages, categories, etc.) you want to create AMP content. After youâ€™re through with that, your website will now have mobile-optimized pages for Google to crawl and display in the SERPs. The plugin comes with several advanced options and features that you can continue to configure. Such options include mobile redirection, contact form support, analytics management, and even advertising placement. Play around with the options to get the setup that works best for you. Googleâ€™s AMP project, whether you like it or not, is here to stay. As a savvy webmaster, your goal is to increase traffic to your website. Provided that you optimize your website for the new way Google ranks and displays search results, you can accomplish that goal with AMP. And with WordPress websites, the ease with which you can enable AMP makes it an absolute no-brainer. Get started today with AMP for WP.